Power Yoga Classes: Join our power yoga classes for weight reduction, weight loss at Divyamaya Yoga Center at just Rs.500/- for a month. 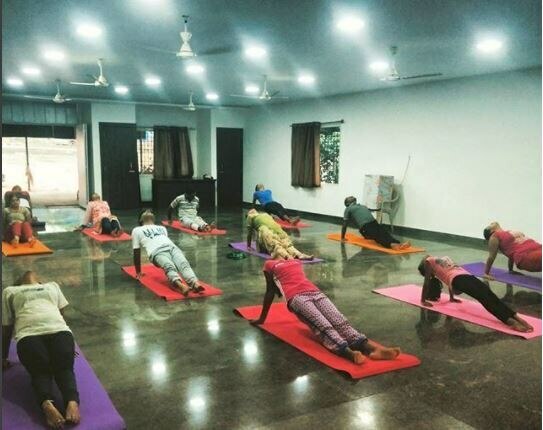 Best Yoga Classes in Bangalore: Join at Divyamaya Yoga Center and learn from experts on yogasana, pranayama, yama and niyama, dhyana, mantra meditation, kriyas, bhandhas, mudras, chakras activation, kundalini yoga, dhyana yoga, jnana yoga, bhakti yoga, bhagavad gita, karma yoga, astanga yoga, patanjali yoga, vinyasa yoga, power yoga, and so on .... Call now and get yourself register for the yoga course at just Rs.500/- for a month. Yoga and Meditation on the Self Within Can meditation solve our everyday problems? Is there life after death? Can drugs help us achieve self-realization? Everyone is talking very much about meditation, but no one knows what meditation actually is. These bluffers use the word “meditation, ” but they do not know the proper subject for meditation. Real meditation means to achieve a state in which the mind is saturated with God consciousness. But if you do not know what God is, how can you meditate? Besides, in this age people’s minds are so agitated that they cannot concentrate. I have seen this so-called meditation; they are simply sleeping and snoring. Unfortunately, in the name of God consciousness or “self-realization, ” many bluffers are presenting nonstandard methods of meditation without referring to the authorized books of Vedic knowledge. They are simply practicing another type of exploitation. God consciousness is a science, just like medical science or any other science. It cannot be different because it is spoken by different men. Two plus two equals four everywhere, never five or three. That is science. We don’t use the word “mystic.” Our reality is God realization, which occurs when we come to the spiritual platform. From the mental platform we may come to the intellectual platform, and from the intellectual platform we can rise to the transcendental platform. Finally we can rise above even the transcendental platform and come to the spiritual platform. These are the stages of God realization. 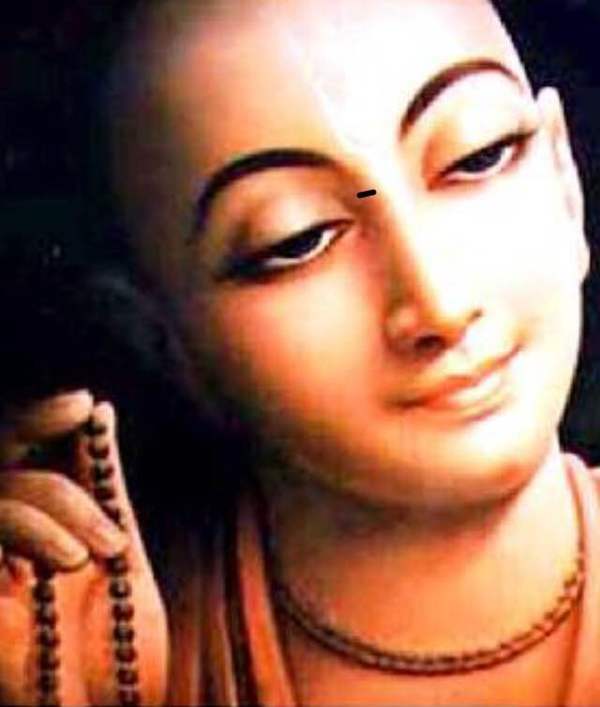 However, in this age, because people are so fallen, the sastras [scriptures] give the special recommendation that people come directly to the spiritual platform by chanting the holy names of God: Hare Krsna, Hare Krsna, Krsna Krsna, Hare Hare/ Hare Rama, Hare Rama, Rama Rama, Hare Hare. If we cultivate this practice on the spiritual platform, then immediately we can realize our spiritual identity. Then the process of God realization becomes successful very quickly. Looking inward means knowing that you are a spirit soul. Unless you understand that you are not the body but rather you are a soul, there is no question of looking inward. First we have to study, “Am I this body, or am I something within this body?” Unfortunately, this subject is not taught in any school, college, or university. Everyone is thinking, “I am this body.” For example, in this country people everywhere are thinking, “I am South African, they are Indian, they are Greek, ” and so on. Actually, everyone in the whole world is in the bodily conception of life. 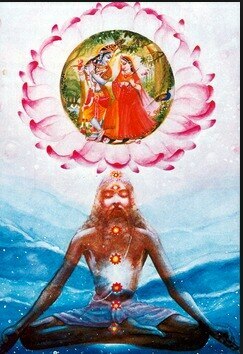 Krsna consciousness starts when one is above this bodily conception. There are two knowledge, theoretical and practical. First, one must learn spiritual science theoretically; then, by working on that spiritual platform, one comes to the point of practical realization. Unfortunately, today almost everyone is in the darkness of the bodily conception of life. Therefore this movement is very important because it can lift civilized men out of that darkness. As long as they are in the bodily conception of life, they are no better than animals. “I am a dog, ” “I am a cat, ” “I am a cow.” Animals think like this. As soon as someone passes, a dog will bark, thinking, “I am a dog. I have been appointed here as watchdog.” Similarly, if I adopt the dog’s mentality and challenge foreigners “Why have you come to this country? Why have you come to my jurisdiction?”–then what is the difference between the dog and me? Best Yoga Classes in Bangalore: Join the best yoga classes at just Rs.500/- only at Divyamaya Yoga Center, Near Nagarbhavi, Magadi Road, Bangalore. 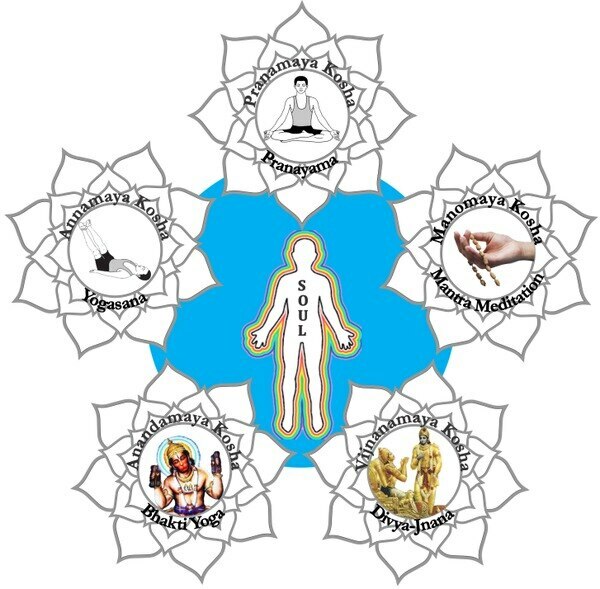 Learn yogasana, pranayama, meditation, jnana yoga, bhakti yoga, kriyas, mudras, raja yoga, kundalini yoga, karma yoga, bhagavad gita etc., all under one roof at Divyamaya yoga center. Japa Meditation or Chanting Meditation is a beautiful way of Meditating. It helps the mind to concentrate on a particular mantra thereby soothing our mind and bringing us bliss. Best Meditation Technique: There are many MEDITATION techniques. There are more than 112 MEDITATION techniques but the most simple and effective technique is to do japa meditation. 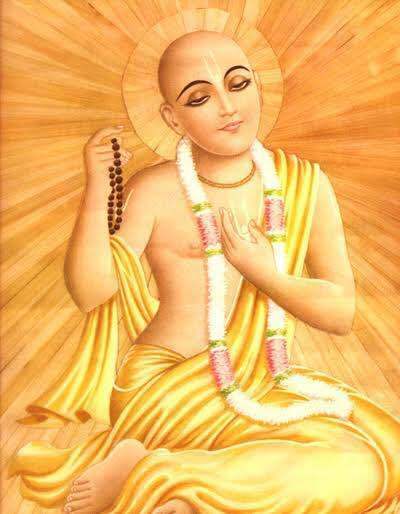 In japa meditation, Sanskrit mantras will be chanted by holding the bead in the hand. 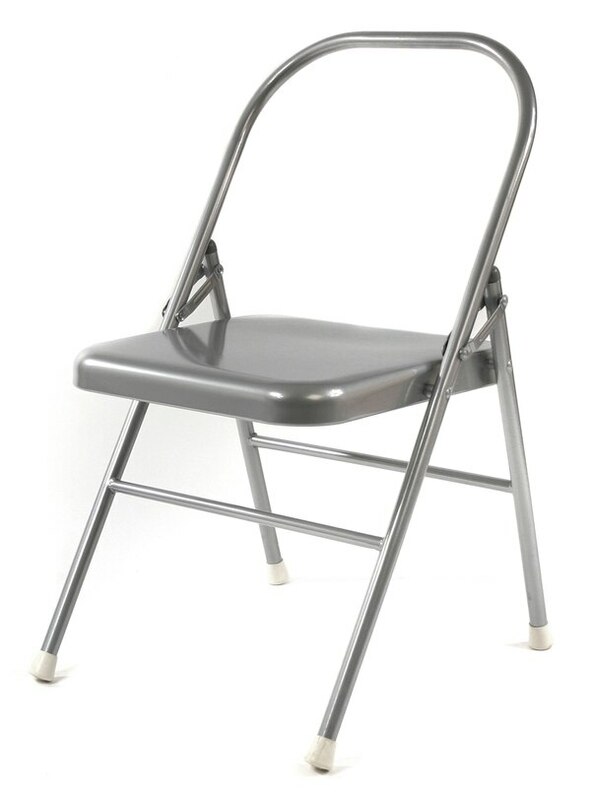 This is a method which you can practice anytime & anywhere. There is no time boundation. But it will be more effective if you practice it in early morning because at that time the frequency of your thought is low. You can also do it before going to sleep it will lead your whole night into a MEDITATED sleep. Early days you will find it as boring. But the day after atleast 21 days you will find it very interesting and you will get the results also. Join our meditation class to understand: How to chant? What mantras to chant? When to chant? What are the do’s for chanting? What are the don’ts for chanting?